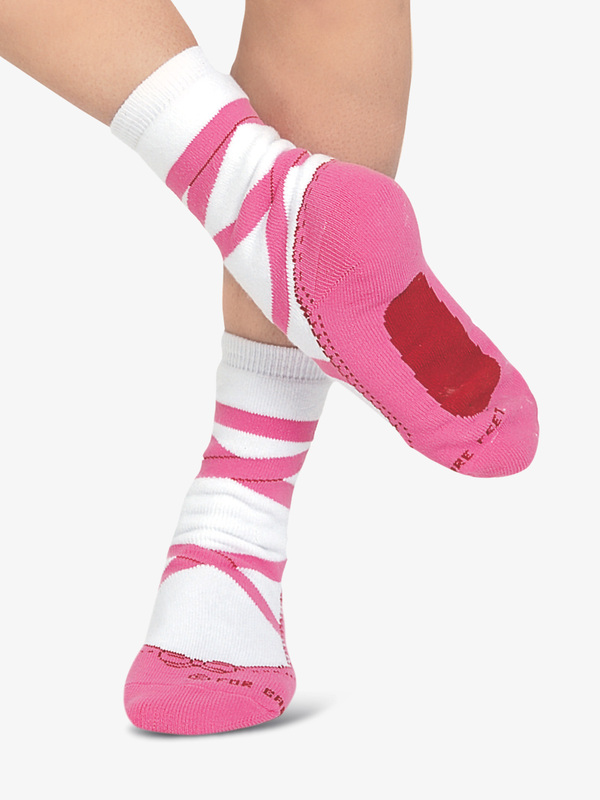 Latest Dancer Socks in a variety of styles for women and girls from Mondor, Natalie, and other top brands. 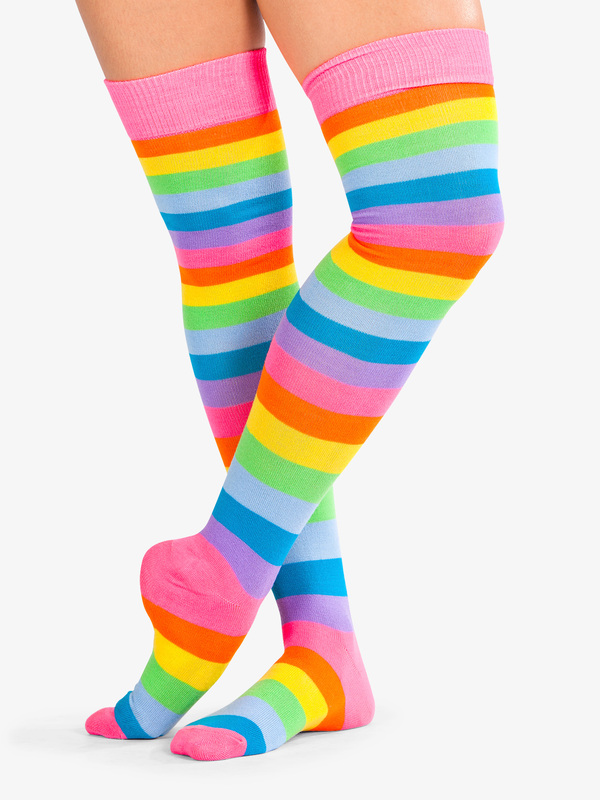 Double Platinum Adult Rainbow Thigh High Sock 6600: Add some fun to your warm-up with these thigh high socks striped in a rainbow of neon colors. Also a great costume accessory! 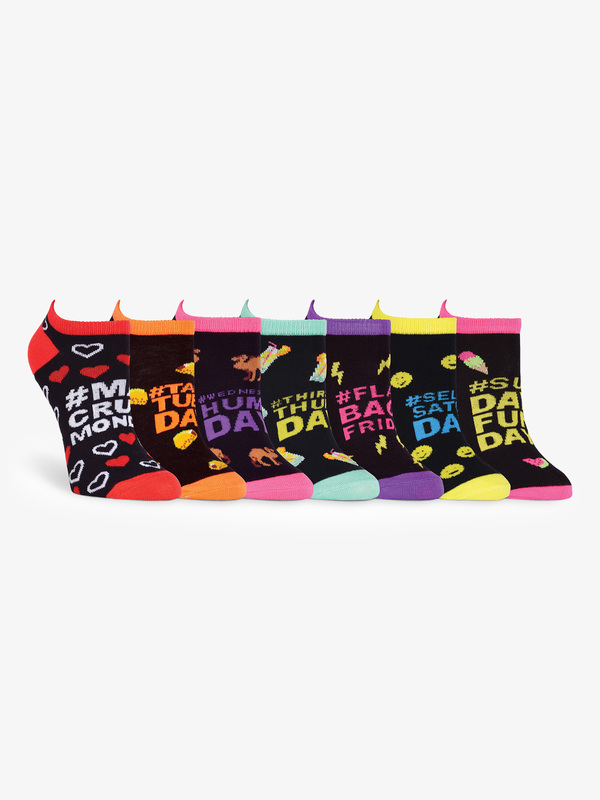 K. Bell Womens Days of the Week No Show Dance Socks C062: From Selfie Saturday to Sunday Fun Day, you'll have a uniquely printed sock for each day of the week! This 7-pack of graphic printed socks feature a no-show ankle cut, a contrast trim, and a day of the week print with a variety of graphics.Size. One size (adult - sock size 9 to 11/shoe size 6-11). K. Bell Womens Sneaker No Show Dance Socks KBWS15C044: Better your busy week with these fun novelty socks! These sneaker graphic printed low cut socks come in a variety of fun colors and come in packs of 6.Size: One size (adult - sock size 9 to 11/shoe size 6-11). K. Bell Womens Junk Food No Show Dance Socks KBWS17C040: Side effects may include hunger! 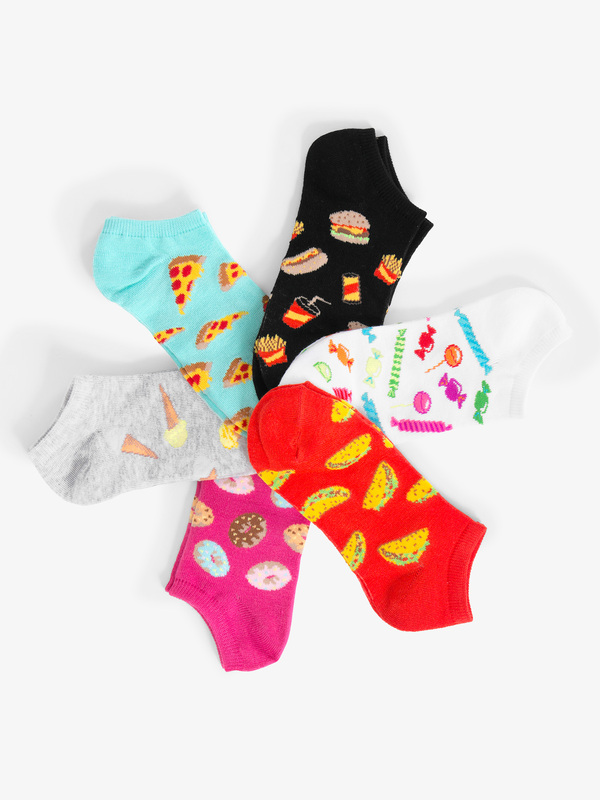 These junk food print socks include graphic prints of foods like pizza, candy, and donuts. Yum! Pack includes 6 pairs of no show socks. Size: One size (adult - sock size 9 to 11/shoe size 6-11). 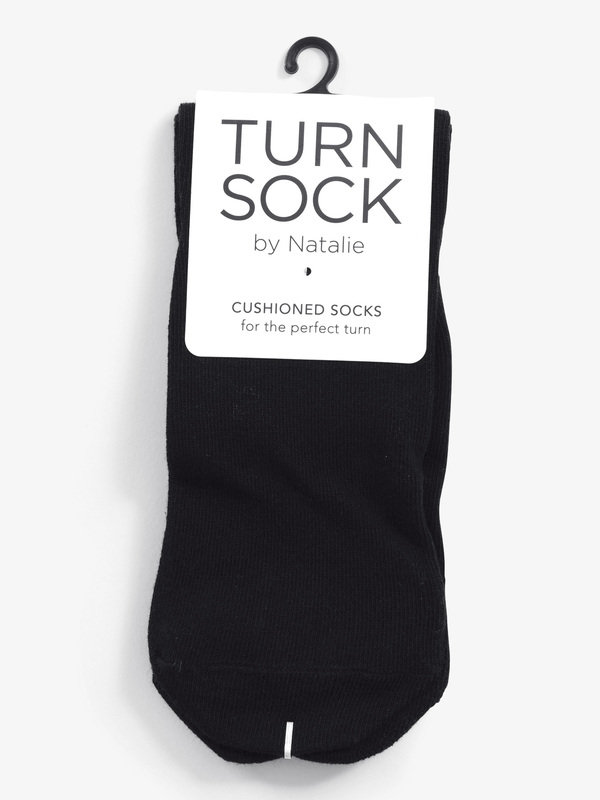 Natalie Padded Turn Socks TURN1: Cushioned socks for the perfect turn. 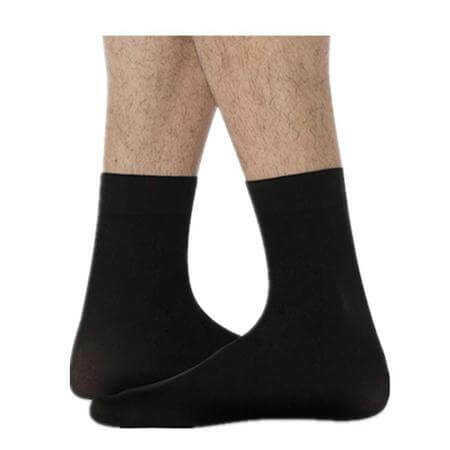 Full-length socks feature a padded ball for nearly barefoot, seamless spins. The comfort of socks, now with added fore-foot cushioning and protection. Great for warming up. Works on carpet - perfect for conventions! 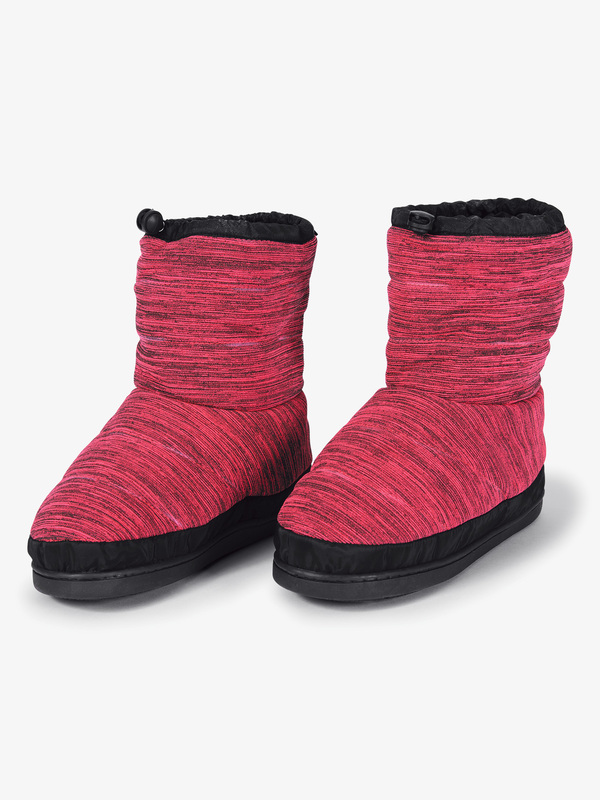 So Danca Womens Dance Warm-up Boots BT10: Keep your feet warm in these warm-up booties featuring two easily adjustable drawstrings and an EVA outsole for both indoor and outdoor wear. Trendy Trends Adult DANCE Tube Socks T1418: Perfect for dancing all-out or just hanging out, these trendy DANCE-inch tube socks are the perfect gift or accessory for any dancer! Size: One size (Ladies sock size 9-11, or shoe size 5.5-10). 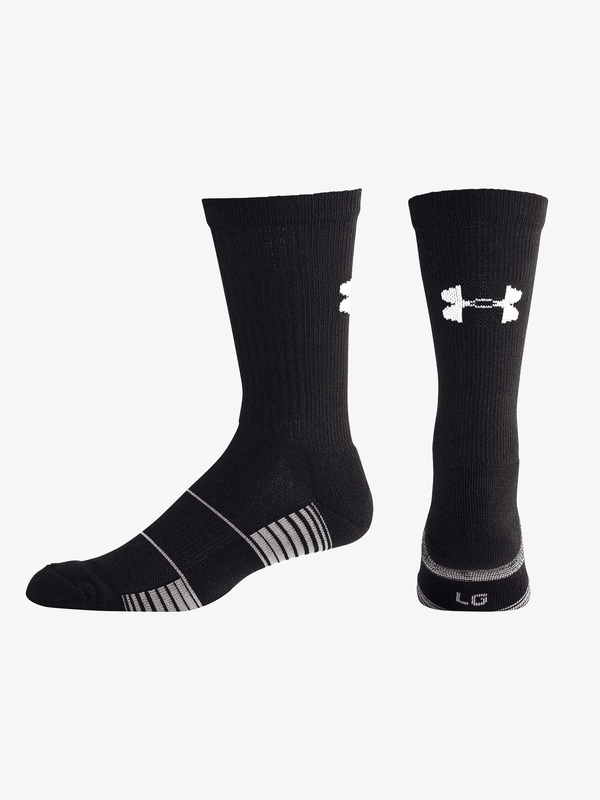 Under Armour Adult Moisture Wicking Crew Socks 1270242: Under Armour's team crew socks are perfect for practice or everyday wear! Features cushioning to protect high-impact areas of the foot, embedded arch support, and anti-odor moisture wicking fabric. A dance bag essential! Bloch Adult Warm-up Boots IM009: Get in on the latest trend while keeping feet warm and ready to dance with these booties by Bloch! 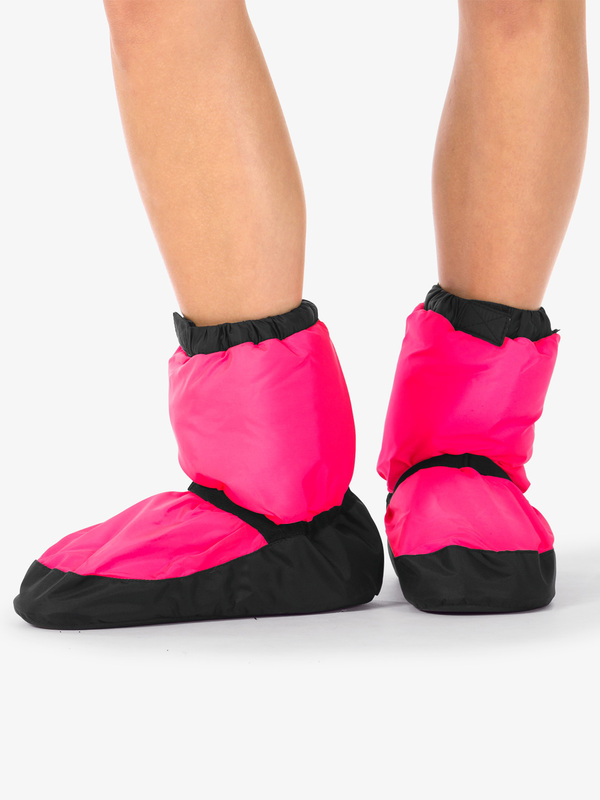 Booties offer exceptional comfort and warmth with a cushioned insole, nylon shell, and 100% Polyester filling. 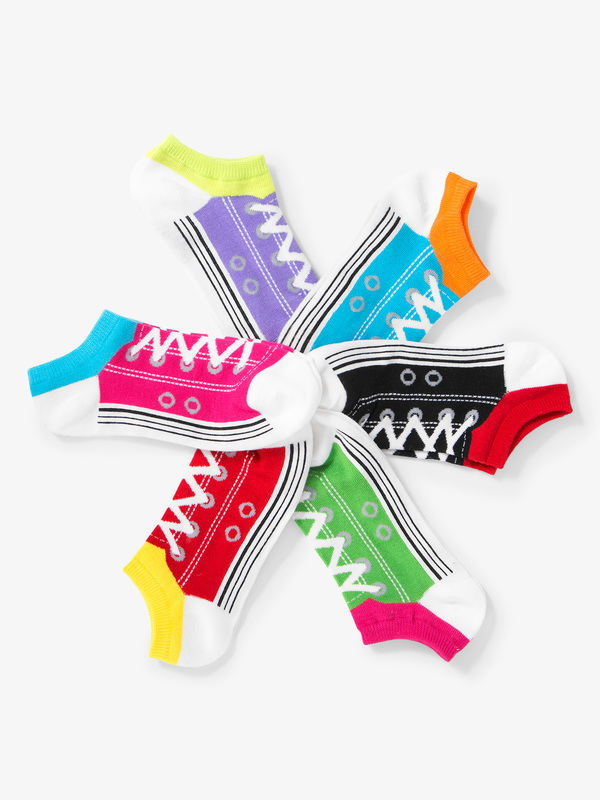 Balera Bright Striped Tube Socks: Cotton athletic socks with ribbed tops wrapped in bright, neon stripes. Depending on height and weight, length is below the knee on most. Imported. Balera Over-The-Knee Socks: Extra-tall, striped, cotton athletic socks with ribbed tops. Depending on height and weight, length is just above the knee on most. Imported. Balera Classic Tube Socks: These cotton tube socks feature stripes at the top band and hit at mid-calf. Imported. Balera Knee-High Tube Socks: Classic, striped, cotton athletic socks with ribbed tops. Depending on height and weight, length is below the knee on most. Imported. Many more styles on sale at Discount Dance Supply.